Aliens! Can't live with 'em! Can't live without 'em! But in the mid-80s, they weren't *that* bad. 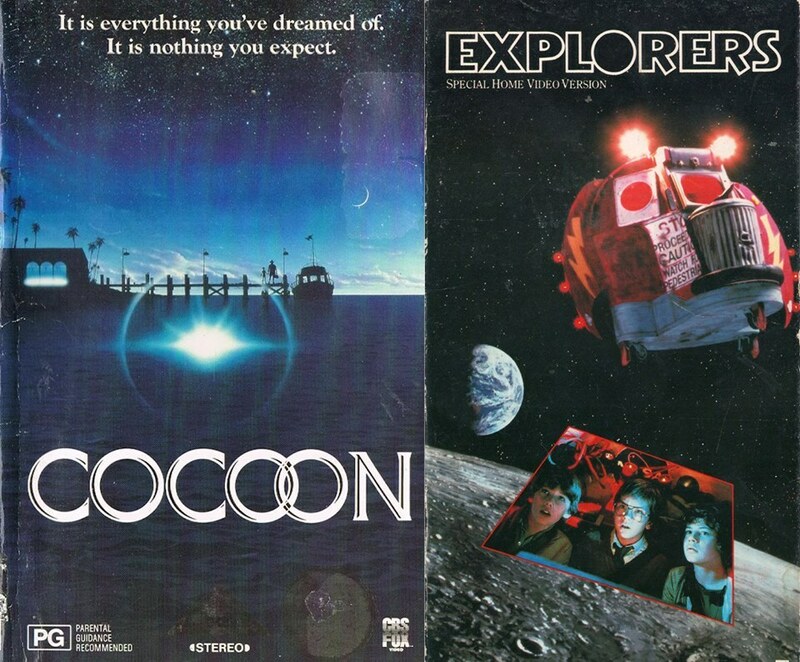 Yes - this week we went back to Krissy's favorite decade in film and watched two 1985 films, Cocoon and Explorers! Did we survive? What would we do with our very own cocoon pool? And what is up with the end of Explorers? We're a bit punchdrunk because of an impending vacation, but we make it through. Great success! Plus, it's the return of K's diabeeetus-talkin' arch-nemesis, Wilford Brimley! Please check out our podcast on Facebook, follow us on Twitter @MovieGeekCast and find our pod and several other awesome ones like it on the PodFix Network! Subscribe and if you like us (like really like us), we'd appreciate it if you leave us a positive rating and review on Apple Podcasts! You can also email us any questions or comments to moviegeekcast (at) gmail (dot) com!